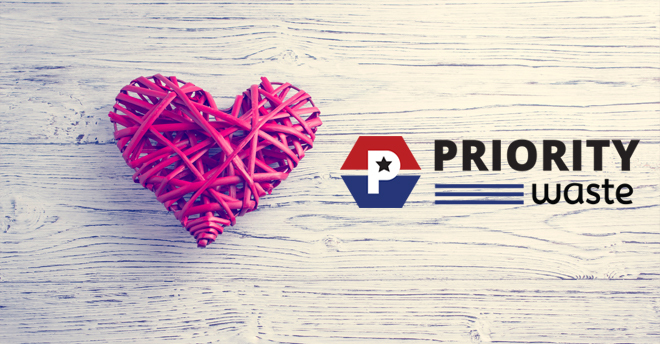 Love and thanks to all of our customers, we appreciate your business. As the thermometer begins to move into record lows, area community leaders are working to distribute nearly 1,400 new coats to families in need. The 1,383 new coats and more than $6,000 in monetary donations stem from a “Coats for Kids” community drive for Utica Community Schools students. The drive was sponsored by the district, Shelby Township, the cities of Sterling Heights and Utica and through local business Antolin Shelby, the township’s largest employer. The successful community coat drive began to take shape when Antolin Shelby opened its new, state-of-the-art 360,000 square-foot automotive international manufacturing facility. Antolin Shelby General Manager and Utica Community Schools graduate – Joe McCluskey II – initiated the idea of a community coat drive as part of the business opening. Working with Shelby Township Supervisor Richard Stathakis, the Coats for Kids drive expanded into the cities of Utica and Sterling Heights and featured more than ten drop sites throughout the community. 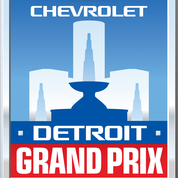 The drive was held from mid-November through January 4. In addition to drop off centers, a number of businesses also made direct donations to support the drive: Gene D’Agostini, D’Agostini Companies; Todd Stamper, Priority Waste; Paul LaFrance, Express Employment Professionals; Lara Shovlin, Helping Hands Gifts and an anonymous donor to the Neighbors and Friends of Sterling Heights. Coats have been delivered to Utica Community Schools over the past week and are being organized by student service leadership groups at its 25 elementary school for distribution to families. As a result of the nearly two-month long “Coats for Kids” community drive for Utica Community Schools students, 1,383 new coats and more than $6,000 in monetary donations were collected. Pictured are, back row from left, Shelby Township Supervisor Rick Stathakis; Michele Templeton, UCS Board of Education Treasurer; Joe McCluskey II, general manager of Antolin Shelby; UCS Superintendent Christine Johns; Liz Sierawski, the mayor pro tem of Sterling Heights; Todd Stamper of Priority Waste; and Melissa Goga of Express Employment. In the front row are students from Duncan, DeKeyser, and Ebeling elementary schools. 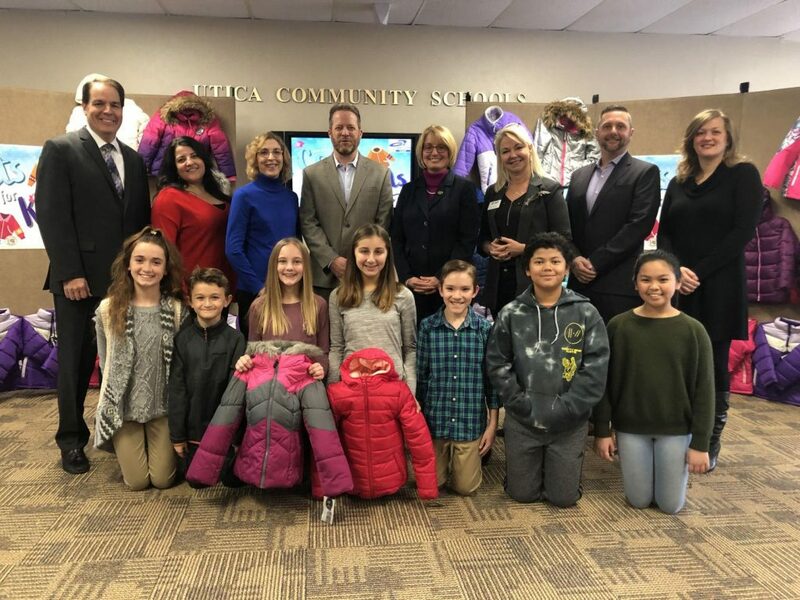 Thanks to the generosity of Utica Community Schools residents as well as local government and businesses, students in the community will be receiving coats to fight off the winter cold. As a result of the nearly two-month long “Coats for Kids” community drive for Utica Community Schools students, 1,383 new coats and more than $6,000 in monetary donations were collected. The drive was sponsored by the district, Shelby Township, the cities of Sterling Heights and Utica and through local business Antolin Shelby, Shelby Township’s largest employer. Antolin Shelby General Manager and Utica Community Schools graduate Joe McCluskey II initiated the idea of a community coat drive as part of the business opening. Working with Shelby Township Supervisor Richard Stathakis, the Coats for Kids drive expanded into the cities of Utica and Sterling Heights and featured more than 10 drop sites throughout the community. Dumpsters are a very important part of any construction project. Whether you’re a professional contractor or a DIYer renovating your home, you need a place to store debris until it can be hauled away. Choosing the right waste management company involves more than just rental rates. You also need someone who is reliable and will deliver your dumpster quickly no matter where you work in Michigan. Will your project require rental of additional equipment? This is especially important for DIY craftsmen who may not own the machinery needed to excavate and build. If your dumpster is late, that means you will likely get a late start on the work. A late start means paying more for extra rental days or hours. If you are a contractor with employees or a DIYer hiring someone to help you, then you need to keep a close eye on wages. Workers must be compensated fairly, and that usually means paying them for each hour or day that they work. If you have to wait for your dumpster, then you could end up paying people for extra hours to hang around and do nothing. Bigger DIY projects may require more time, which could mean that you have to take vacation days from work. If you are a contractor, then you could miss out on other job opportunities because your current project is taking longer than anticipated. Staying on schedule and getting things done as fast as possible requires speedy dumpster delivery. Priority Waste cares about our customer’s success. 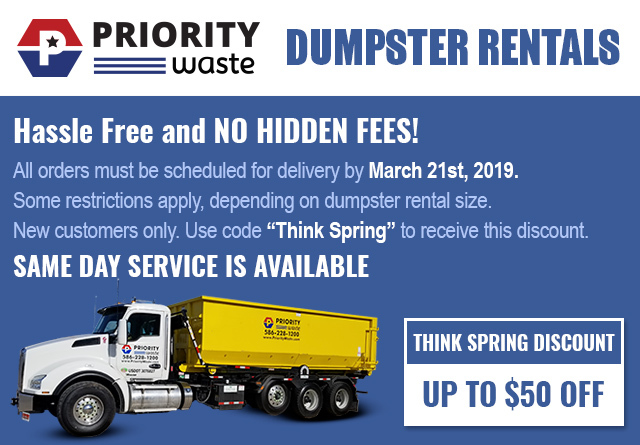 We offer competitive dumpster rental rates that come with speedy delivery. Contact us today to find out how quickly we can get your dumpster delivered and ready for loading. Across most of our nation, we are experiencing colder weather than we have felt in an entire generation. Please take utmost precaution when being outside in this dangerously cold weather and make sure you are protected from the elements. 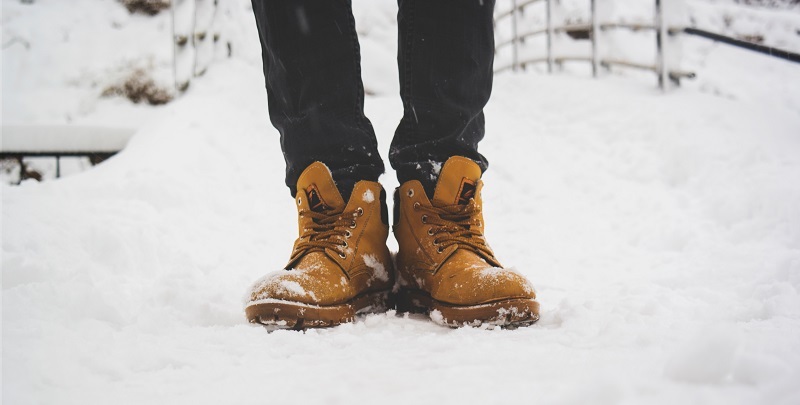 Read our article Wintertime Tips When Using a Dumpster to learn more.